Our original badge design was a triangular shape. Each facet of the triangle represented the three factors we believe creates the perfect martial artist – the mind, body and spirit. Over the years due to aesthetics and balance of the text within the badge, we had changed the design but the philosophy remains the same. A healthy MIND contributes to a healthy body and allows us to develop social, intellectual and technical skills. At the same time maintaining calm rational thought. Maintaining a healthy BODY enables us to achieve new skills and further develop technical skills. Developing core strength further develops technique, accuracy and stamina. Using these three facets, our students develop their self-confidence and self esteem. This helps them conduct their lives in a well-balanced and well-mannered nature. Success in life then comes naturally no matter what the karateka (person who practices karate) does from day to day. In conjunction with the above guidelines, we recommend our members use and follow the modern interpretation of the Code of the Bushido. The word Bushido (武士道) literally translates as “The Way Of The Warrior” and encompasses an entire philosophy with origins in Zen Buddhism, Shintoism and Confucianism. The conceptual origins of the Bushido ideal appear in the earliest of Japanese historical literature – the Kojiki written in 712. The son of Emperor Keiko is described as skillful with the sword, sincere, loyal and unyielding whilst also being poetic, artistic and compassionate. With this artistry came chivalry – a sense of service with respect, politeness, beauty and honour. Bushido holds justice, love, sincerity and self-control in high regard. However, the roots of the word itself are found in the text Shoku Nihongi (a book describing the early history of Japan written in the year 797). In this text, “bushi” referred to the educated warrior poet and “bushido” became the “warrior -way” (bushi-do). By the 12th century, the order of and the word meaning Samurai was well established in Japanese phraseology and became almost synonymous with “bushi”. Influenced by Buddhism and Confucianism the ideals of “Bushido” developed into a more formal code over time. Initially this code was unwritten but understood amongst those of “bushido”. Literature from the 13th – 16th centuries clearly depict the “cultivated warrior” and by the 17th century formal expressions of the philosophy of Bushido from great masters became well documented. Bushido expanded and formalised the earlier code of the Samurai and encompassed a number of virtues often summarised in 7 tenets. Although these tenets do not describe the totality of Bushido, it nonetheless captures the spirit and characteristics of the philosophy. Along with these virtues, Bushido holds justice, love, sincerity and self-control in high regard. 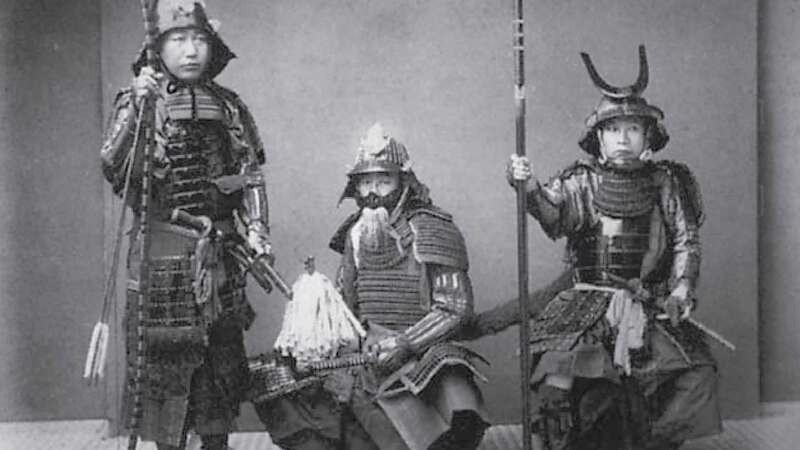 In the modern world, expression of these virtues may find forms other than that classically thought of as “warrior like” leading to contemporary writings on the concept of “Modern Bushido.” Such writings emphasise that the warrior protects and defends because he/she recognises the value of others and so serves his/her community. This may be expressed in a simple action such as ensuring one’s companion reaches their car or home safely in the night; or perhaps serving the needs of others not well positioned to help themselves. Rather than prey on the vulnerable or ignore them leaving them to risk their own way, the modern “bushi” is there to help, serve and protect according to the ancient virtues encompassed by “the way” – with chivalry, artistry and beauty.